Walmart shoppers with access to Apple Pay are more likely to choose to use it than the store’s own Walmart Pay app, a new study has found, but those who do choose the retailer’s own app spend more at Walmart each month than those who use Apple Pay. “Walmart shoppers who can use Apple Pay and have a mobile payment preference are twice as likely to choose Apple Pay over Walmart Pay,” Auriemma Consulting Group found. “Discount- and shopping-focused app features could give Walmart and other merchants a competitive edge over Apple Pay,” the researchers conclude. 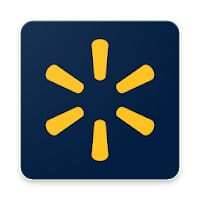 “Walmart customers who don’t have the Walmart app installed would be most interested in using the app to find coupons, view sales, exclusive offers, and rewards, and/or to use the Savings Catcher feature. “These features are also the most used by those who have the app, highlighting their importance in both promoting app adoption and habitual usage. Leading with these value-enhancing benefits can not only boost adoption, but also drive increased satisfaction with the app as a whole.